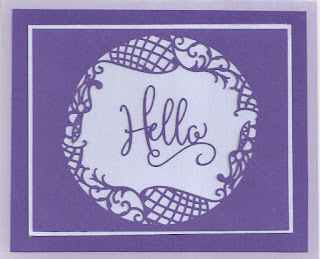 This is the second card I made yesterday using my new Gemini Jr. 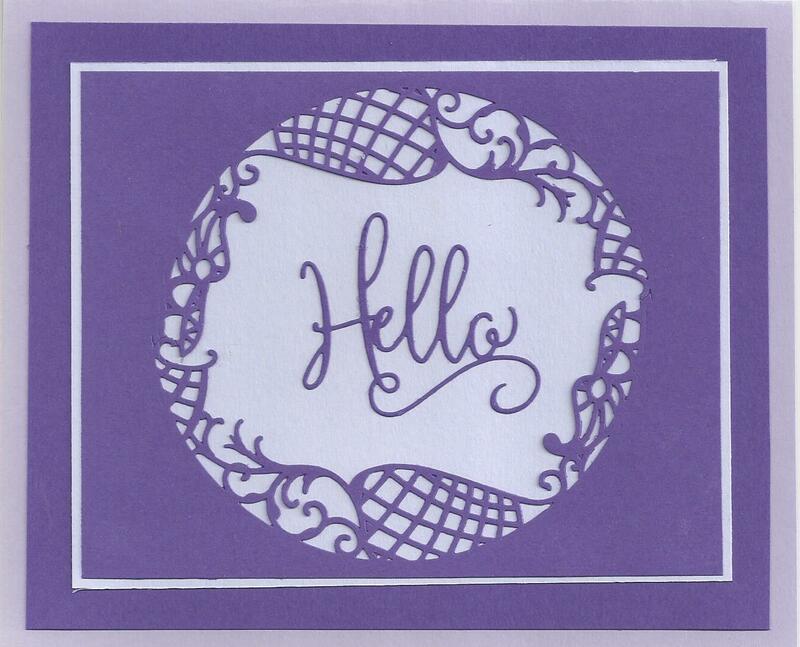 I made three of these cards to go to my small stamping group of Andree, Barbara and Bonnie. I used one die twice and then added the die Hello. Left the inside blank so it could be used for anything. The dies all came with my Gemini Jr.